Ellen Lord, undersecretary for acquisition and sustainment at the Department of Defense, has said one of her goals for calendar year 2019 is to revise the DoD Instruction 5000.02 policy, Defense News reported Thursday. “In 2019, one of my key objectives is to rewrite 5000.02,” she told reporters on Dec. 17. Other U.S. military branches plan to adopt the Air Force's program to accelerate the development of agile applications, Fedscoop reported Friday. The effort, known as Kessel Run, minimizes the years-long agile development timeline to months, and cuts costs as a result. USAF piloted the effort last year and began experiments in May 2018. Dave Powner, a 16-year Government Accountability Office veteran, told FedTech in an interview published Tuesday that the Federal Information Technology Acquisition Reform Act scorecard has provided agency chief information officers authority to oversee IT modernization and security efforts. “We have plenty of acquisitions that have failed, we have plenty of operations that need to improve, and I think elevating that position and making it a real CIO position at more and more agencies is extremely important,” said Powner, former director of IT management issues at GAO. 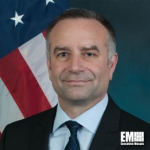 Frank Konieczny, chief technology officer of the U.S. Air Force, has said the service could reform its cyber acquisition process based on results from the Kessel Run Experimentation Lab, FCW reported Wednesday.